Let Cwebs.us help protect your identity online! Privacy Protection hides your personal contact information from public view. It's insurance for your website. 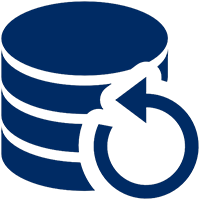 Get daily automated website backup for all web files, databases and emails with a 1-click restore. Assure Safety To Your Visitors & Convert Them To Customers. Dedicated IP Address is good for a business identity,email sender’s reputation,grants access to your website any time you need,required for particular third-party applications/scripts. Qualified packages include instant activation and 24 hour support. Introductory prices apply to the first term. Money-back guarantee applies to hosting and domain privacy. All plans and products automatically renew for the same term length at regular rates, which will be available in your control panel. Unless you request a change or cancellation, the payment method provided today will be used for renewals.